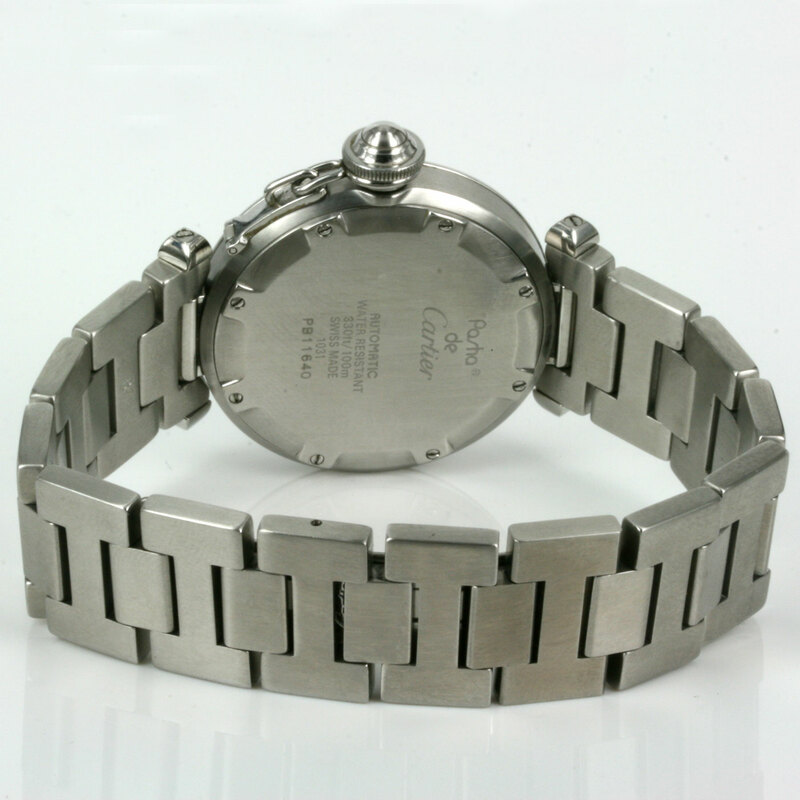 Product code: Q259cc Categories: Sold Items, Sold Watches. 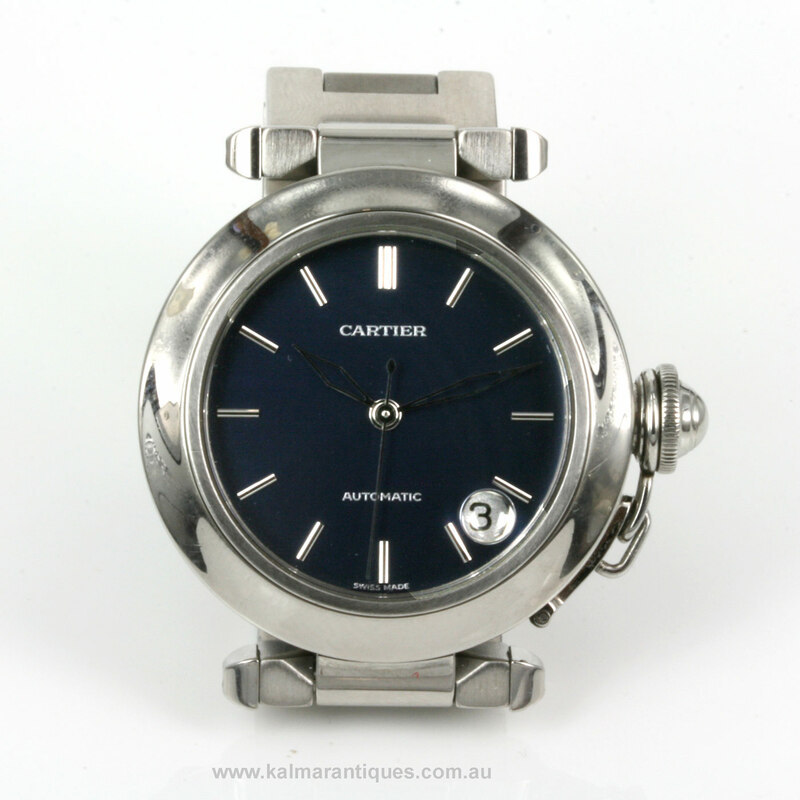 The Cartier Pasha C has such a distinct look to it and is such an easy model Cartier watch to wear all the time day or night as can be seen here in this Cartier Pasha watch reference 1031. Made in stainless steel, the case measures 34.3mm across or 41mm with that fabulous crown guard on the side making this Cartier Pasha perfect for any gent or lady. Inside is a fully jewelled automatic movement that runs perfect and comes with our 1 year warranty and has the date function as well. The dial itself is a midnight blue colour and with those sleek and elegant index markers looks so stylish on the wrist. Cartier have a way to make a watch so up to date with trends and fashion and Cartier watches seem to have that look about them that you know will last a lifetime and always look great when it is worn on the wrist. 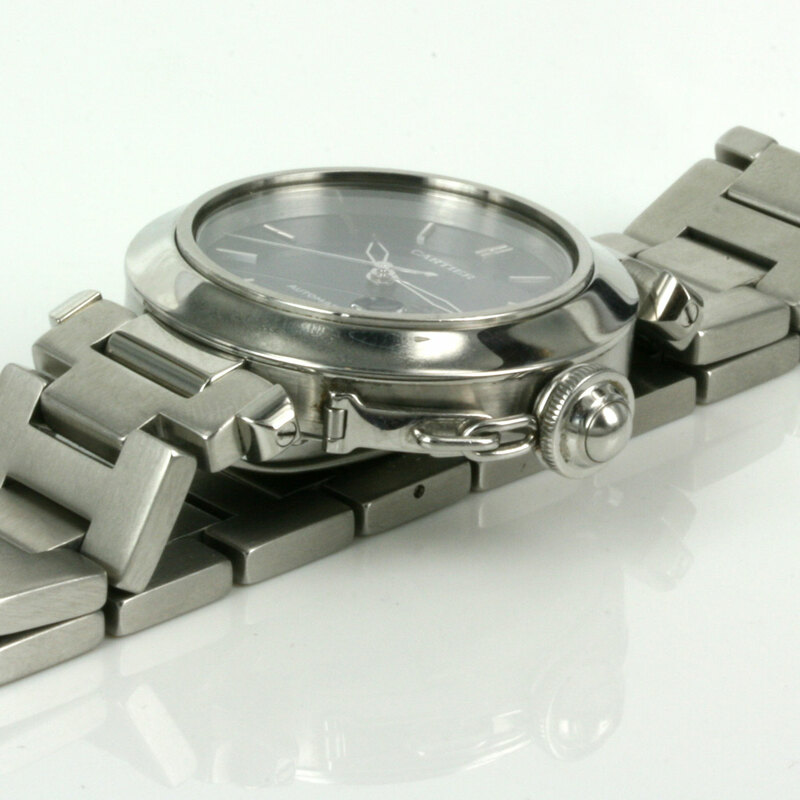 The stainless steel band has the deployant clasp and is so smooth on the wrist to wear all the time. This Cartier Pasha is in fantastic condition and comes complete with its full box and papers, and is a simply perfect automatic Cartier for any person for any occasion and will always be admired on the wrist.